Understood as a practice of urban improvement and emphasis on the value of local space through individual artistic contribution, “Do It Yourself” was initiated by us to verify a pure artistic concept of public curiosity about unusual objects in urban space and, simultaneously, to entertain citizens and to get people thinking creatively about their surroundings and, therefore, to activate an anonymous, “nobody`s”, place. To attain these objectives, several experiments were conducted under the concept of “Virus-object”, in which “Virus-object” acted as a design object that is artistic, alien by nature – contrasting the surroundings, ready for operation (“communicative”) and productive outdoor object. The experiments consisted of a set design objects – modified / decorated / constructed and/or reconstructed objects with an unusual, vivid, monstrous and bizarre appearance in particular context to induce viewers` interest, emotions, and communication. 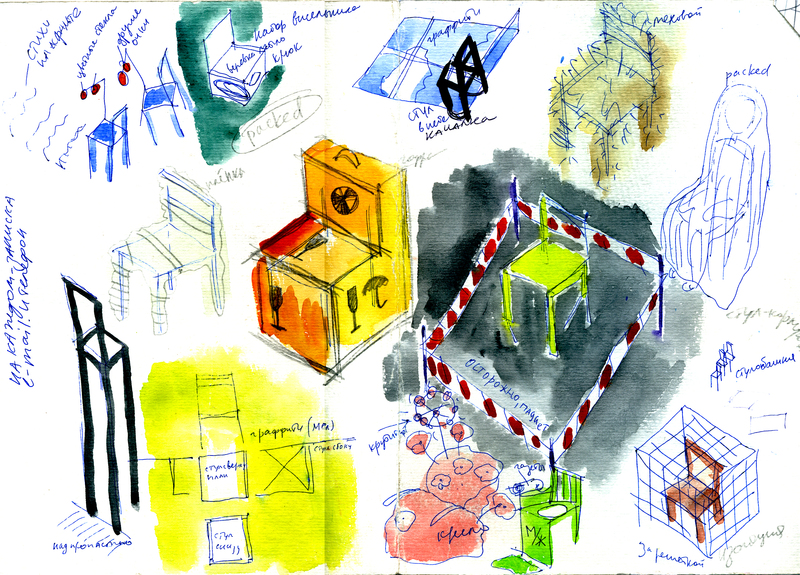 In the project of virus-chairs, where chair artifact was taken as a base form for virus-objects, as well as in students` experiments curated by the author, a special attention was paid to the design of virus-objects, which appeared as heroes with their own destiny, drama and character. Termed “Virus-objects”, these artifacts were implanted without authorization or anyone permission and under cover of darkness in city organism. Afterwards, monitoring with video recording of located virus-objects revealed expected and awaited interest of people, who had started to communicate with virus-objects – playing, destroying, stealing, using. The concept and project “Virus-object” emphasized the role of creative initiatives in understanding the values of the urban environment given by the community.